In August 2016, Australia’s Central Bank lowered interest rates to a record low, cutting its cash rate from 1.75% to 1.5%. This was expected due to low inflation numbers recently. The banks hope that this will spur people on to invest which will help revive the Australian markets. 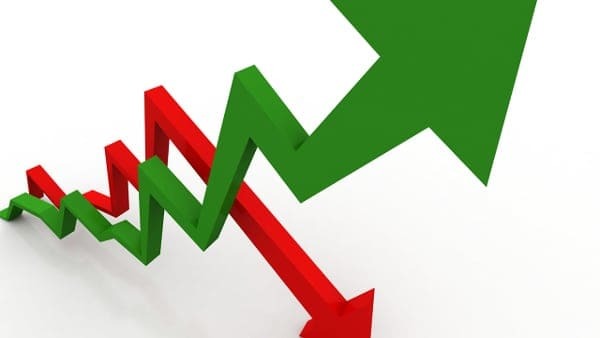 Although the opposite can happen during these times as consumers can become more complacent and tend to stick with what they’ve got, if you are looking to invest then here are my top tips for investors when interest rates are falling. Understand the markets – If you are going to make investments then a great place to start is the markets. If you have little to no experience with stocks and shares this can be a daunting prospect. Start off by finding out the trading terms on IG.com that will be used when dealing with the markets. IG also has lots of tips on getting started in trading. Bear in mind that factors such as cost of production, labour, and other expenses can affect a company’s profitability. Also be aware that as well as the potential for rewards, there are also risks of losses when trading on the market. Check your accounts – Many people often shut their doors to any offers at this time and very rarely shop around for the latest deals but now is the time to pounce. You could well be spending more than you want to be because you are afraid to switch. All the banks want to keep you and they are desperate for your business. Lots of banks will offer cash for switching current accounts or the type of account that you have with them. They won’t want you to take your money elsewhere so it is worth checking out what else their competitors are willing to give you in return for your business. Have a look at a comparison website such as infochoice.com.au to see what deals are available. Over-pay – If you are currently fairly financially stable or even have a few extra dollars at the end of the month then it is worth using them wisely. It is a great rule of thumb to increase your repayments on your mortgage or on any loans you may have. If possible, try and make your repayments the same as they will be if the interest rates go back up; that way you will be overpaying and you’ll also be ready for any change in the markets that might occur. Sensible choices – This is a tricky one and you’ll need to have good will power to achieve this one. Making sensible choices and decisions with your money at this time is crucial so be careful not to make rash expensive purchases. Things like buying a new car, speedboat or going on a luxurious overseas trip are not what you need to do at this time as these will not add any value to your assets. Again making good choices could include changing your shopping habits and meals out which could mean extra cash that could be used to pay off debts or invest into the markets. Fixed Rate – If you are making an investment into property during this period of low interest rates then ensure your loan or mortgage is at a low fixed rate. Try to get a rate that reflects the current interest rates and get a fixed rate that will last for as long as possible.